Yesterday was a very sad day. 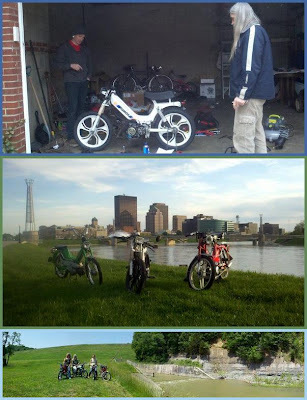 I resigned as captain and as a member of the Dayton Area Moped Riders, DAM Riders. I remember when the group was only two of us. Sadly, an accident brought us together initially. There was a moped accident in Miami County and the TV station asked me to talk about moped safety and bring my moped to work...This was back on May 15th, 2010. You ASK me to ride my moped to work...SURE! I started talking to Wes that same day and I could tell he was a little cautious in case I wasn't really into mopeds and trying to scam him. I told him to watch the news and he saw that I was on there talking about riding mopeds in numbers. From there we grew. It was just Wes and I in the Dayton area for the next 10 months and occasionally his family would ride with us. We kept looking for more riders and we grew a little more and found Shawn. Shawn got a moped and posted about it on Moped Army and I contacted him March 21st, 2011. It was the three of us for the next few months. Spring of 2011 was nothing more than riding, laughing, helping each other on each other's bikes, and starting something bigger than we expected. Brandon from West Milton joined the group the same time too and we just kept going... The group now has a constitution, running websites, weekly rides, and at least 25 official members and a handful of other local riders. Anyway, I turned the group over to the co-captains to run the ship from here. I am still great friends with the group, but my time had come. I was going to stay a member, but I feel with me out of the picture then they can decide how they want to go from here. I still plan on riding with some of them from time to time, but don't want to get in the way of the DAM Riders forward momentum and do my own thing.... now back to the weather. It is a very warm start to the day... currently Ohio is sitting around 80º for the overnight low temps. With such warm temperatures it will allow to climb into the 90's in very little time. We will actually feel between 100º and 105º once you factor in the humidity and the hot temperatures. So stay cool...but also alert. 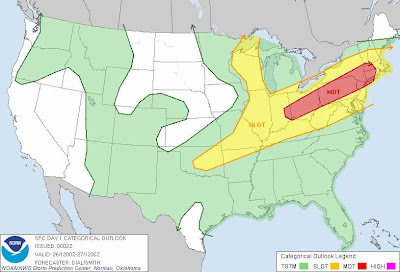 Later this afternoon and evening a cold front will come plowing into the abundant energy in the atmosphere and it will fire off strong to severe storms. 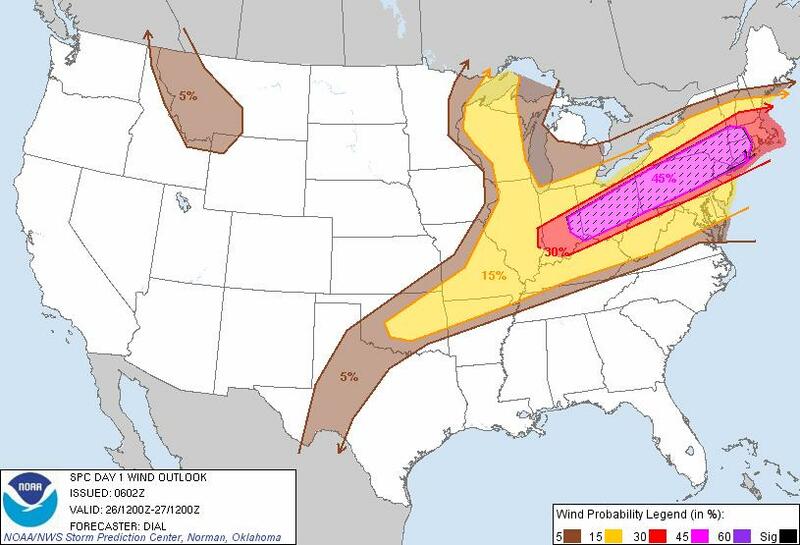 The main threat will be damaging winds but hail and even a quick spin-up tornado can't be ruled out. Right now the timing of the storms looks to be late afternoon into the evening. The latest forecast models have storms popping shortly after 3PM and then another line of storms into the early evening. 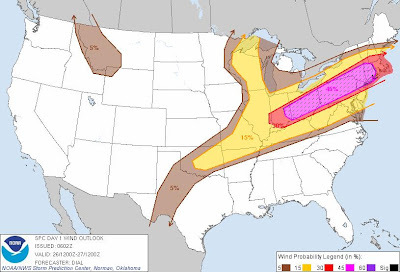 By midnight most of the severe weather will have pushed off to the east. 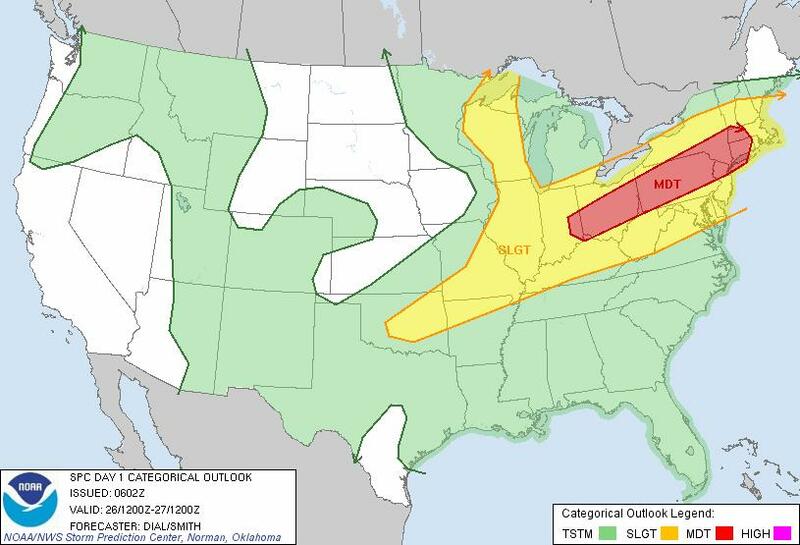 So be sure to stay alert because these storms will pack quite a punch. A second cold front tomorrow will bring in a few more showers and storms, but not nearly as much energy to work with, compared to today. We will cool off our temperatures heading into the weekend with highs in the mid 80's with lower humidity. The heat and humidity returns next week and still a chance for rain Tuesday. I am signing off of here until early August. I am heading to Daytona later today for vacation. I may drop a line on my blog while I am gone, so check back in, but no guarantees. After all, I will be celebrating my anniversary while I am down there. I figured if I get sunburned I will need to kill some time indoors...haha. Anyway, I will be back soon enough. Stay cool and safe later today and have a good one!